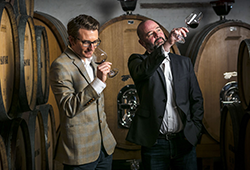 How exciting the South African wine scene is at the moment! 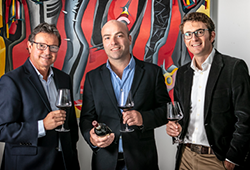 Young blood, old vines, traditional winemaking and brand new regions. The most exciting new initiative may be David Trafford’s Sijnn project in Malgas. Forty kilometres away from any other vineyards, its tremendously rocky soil and Breede River-influenced microclimate is unlike any other in SA. And with a few vintages under their belt, the latest releases are spectacular. The region is not dissimilar to that of the schistous Douro, although lower summer temperatures lead to wines with perhaps more elegance. (Watch the video we made during a visit to Sijnn for a closer look at this unique viticultural site.) The rocky soils give extremely low yields and huge concentration as well as great freshness. Syrah, Touriga Nacional and Chenin seem to have prospered most of all of the cultivars initially planted. 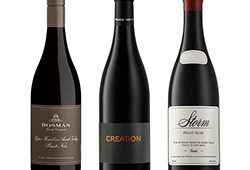 The 2011 Syrah and Touriga are knockout wines that would confuse any blind taster of their origin. They hold immense purity of fruit, freshness and dry, European-like tannins. The 2012 White is their best yet; a mineral, textured blend of Chenin and Viognier, it tends to drink best 4-6 years from vintage. The Rosé is completely serious and sensational. Made using the Saignée method, it too is best with a few years’ ageing. The Low Profile is a brilliant midweek wine with all the flavours of Touriga Nacional, slightly softer tannins and a juicy yet dry finish. These unfiltered, unfined, real wines are made in tiny volumes and speak of this amazing place. To order, email Pia@winecellar.co.za or phone 021 448 4105. See here for delivery charges. If you didn’t receive this offer via email, become a Wine Cellar newsletter subscriber. A blend of Touriga Nacional, Mourvèdre and Trincadeira. Delicious wild fruits, perfume and hints of slate. Rich and juicy but completed with a chalky structure, textured palate and dry finish. Only 60 cases produced. Distinctive slate, blackcurrant, violets and wild spice show its proper Douro roots. Vibrant with richly textured tannins that, again, are both juicy and dry. Built for ageing, it is the perfect partner for chargrilled meats. Drink until 2022. Only 160 cases produced. This is rather restrained, showing off this moderate climate. Lots of slate character fills the bouquet alongside fine white pepper, perfume and red fruits. Finely tuned, yet uniquely exotic and fantastically real, it is impressively built and sensationally long in the mouth. A little backward at this stage, expect it to blossom over the next decade. Only 140 cases produced. More medium bodied than a typical SA Cabernet with very little cassis and no bell-pepper aromas. It shows garrigue, some cedar and dark spice on the nose, with layers of bright red cherry and olive on the palate. It is compact, classy and classic. Drink now through 2017. Mostly Chenin with 16% Viognier, the taste reflects the soil more than the varieties. Each vintage of the wine shows more promise and the 2012 is especially expressive at an early stage. It shows enticing mineral, apricot/peach on the nose with a touch of honey and raw nuts on the finish. 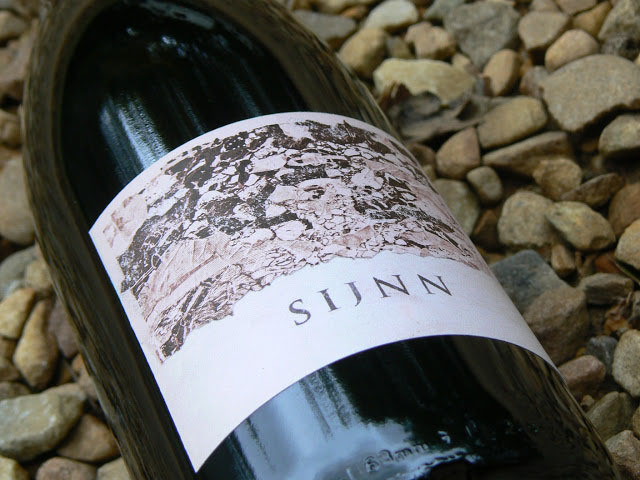 The palate is rich, filled with fresh fruit and spice, wound by a textured yet mineral core. Cracking! Drink 2014-2018. Only 500 cases produced. A pale red onion skin colour, bravo! Complex rose petal and red fruit on the nose, the palate is almost Pinot-like with lower acidity, softer tannins and more savoury fruit. Strewn with red berries and macadamia nuts, the finish is textured and fresh. A revolutionary SA rosé from Touriga, Trincadeira and Mourvèdre. Drink now through 2016.